A souvenir of California Coastal Cleanup Day 2013. Text: "Briny Vessels of California. 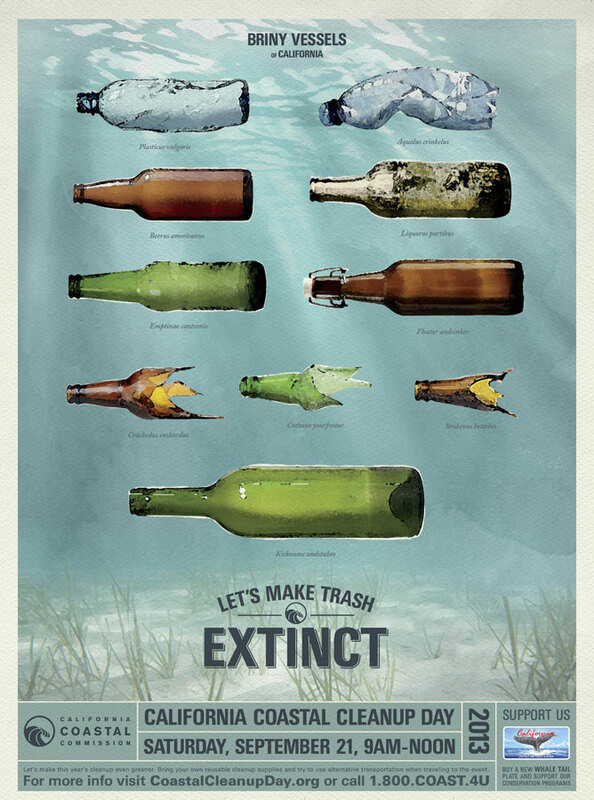 Let's make trash extinct."